We must be better able to handle a drought now, right? Right...? It would not be unreasonable to expect that with such developments over the past 80 years, American agriculture would be more capable of handling a major drought than it was in the 1930s. After all, we’ve had plenty of time to practice, plenty of warning about the impacts of climate change, and have developed plenty of technology to address these issues. Unfortunately, a new study from researchers at the University of Chicago indicates that this might not be the case. 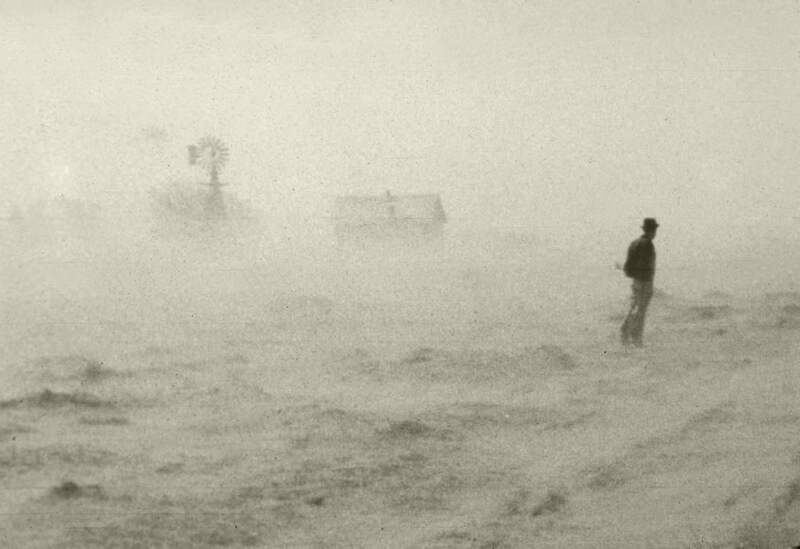 The researchers simulated a Dust Bowl-style drought on modern crops to see how they’d react, and the results are pretty alarming. The researchers estimate that yield losses would be around 50 percent worse than during the drought of 2012, and that with each degree (Celsius) the temperature rises, yields decrease by another 25 percent. This is a big deal; these are bankruptcy and starvation percentages. In large part the continued vulnerability of crops to drought is in place because of the simple fact that the most popular modern seeds aren’t designed to withstand drought, but to increase yield. That isn’t true across the board – farmers and scientists are increasingly looking to species and varieties that can handle lower precipitation and higher heat – but it isn’t the norm. The researchers involved in the study suggest that, well, maybe it should be.